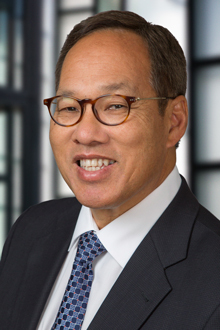 Daniel B. Eng is a partner in the San Francisco office of Lewis Brisbois and is a member of the Corporate Practice. Mr. Eng represents companies in a variety of practice areas including general corporate, public and private offerings (equity and debt), mergers and acquisitions, venture capital and finance, and strategic alliances. His clients include companies in many industries, such as financial institutions, hospitality, technology, manufacturing, medical and pharmaceutical, retail, and mining. Dan also represents financial institutions involved in mergers and acquisitions, financings, reorganizations and various bank regulatory matters. His experience includes serving as Staff Counsel to the U.S. Securities and Exchange Commission in Washington, D.C. He concentrates on providing advice and guidance to private and public companies as well as investors in complex business transactions, including mergers and acquisitions, and corporate finance matters. This includes private capital raising and the representation of issues and underwriters in initial and secondary public offerings under the Securities Act of 1933 and the preparation and filing of reports under the Securities Exchange Act of 1934. Dan also has substantial experience in the representation of financial institutions including the formation of de novo banks and holding company formations. As part of his representation, Dan also counsels clients in connection with a variety of business and corporate governance issues including board conduct, purchase and sale agreements, license agreements, joint venture agreements, shareholder agreements, buy-sell agreements, sales and acquisitions, and employment and consulting agreements. Dan provides advice in these areas to companies that do business in the United States and internationally. Counseling and formation of de novo banks. General Counsel to multi-unit restaurant chain. Representation of a placement agent in the sale of common stock of a bank. Representation of a publicly traded international pharmaceutical companies in merger acquisitions. Representation of publicly-traded financial institutions in merger transactions. Representation of mining companies in private offerings. Representation of various publicly-traded financial institutions in connection with their issuer tender offers. Representation of a mining company in an at-market offering. Representation of a mining company in the sale of common shares in a bought deal offering. Representation of cell-based therapeutics regenerative medicine company in a confidentially marketed public offering.